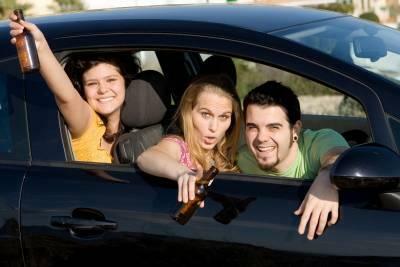 Driving while under the influence of alcohol or drugs is extremely dangerous. According to the Illinois Secretary of State's Office, there were over 27,000 DUI arrests in Illinois in 2017. The state takes DUI arrests very seriously which is why 91 percent of people who were arrested for DUI and were eligible, lost their driving privileges. Still, the state also recognizes that people should not have to be put through months of hardship for one mistake. This is why Illinois allows certain DUI offenders to apply for one of two types of driving permits: a monitoring device driving permit (MDDP) or a restricted driving permit (RDP). 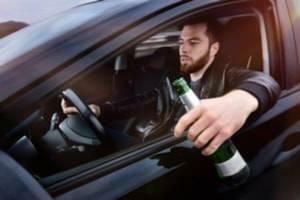 In order to apply for an MDDP, you must be a first-time DUI offender. This means you must not have received a statutory summary suspension in the past five years or have been convicted of a DUI in Illinois or any other state within the past five years. In addition, your DUI arrest must not have caused death or great bodily harm to another, and you must not have been previously convicted of reckless homicide or aggravated DUI that resulted in death. While you have an MDDP, you must have a breath alcohol ignition interlock device (BAIID) installed into any vehicle that you drive, though you may drive anywhere at any time once you have the permit and have the BAIID installed. If you are ineligible for an MDDP, you may be eligible for an RDP. In order to qualify for an RDP, you must be able to prove that hardship exists. You must also provide a current professional drug and/or alcohol evaluation and, in some cases, proof of remedial education or treatment. You must also have a BAIID installed into any vehicle you drive during the length of the permit. In addition, the have an RDP issued to you, you must attend a hearing at the Secretary of State’s Office so they can determine whether there is a threat to public safety if you were issued a permit. If you have ever seen the movie, “The Wolf of Wall Street,” then you have some idea of what white collar crime is. When you hear the word crime, most people think of blood, dead bodies or violence. White collar crime is a type of nonviolent crime that typically does not involve any sort of physical violence. The term white collar crime was coined in 1939 and now encompasses a wide range of crimes, mostly dealing with gaining profits. According to the Federal Bureau of Investigation (FBI), white collar crimes are characterized by deceit, concealment or violation of trust. Though these crimes do not physically hurt people, they are not victimless crimes and they can destroy companies and cost people billions of dollars. Corporate Fraud: One of the main areas of interest to the FBI is corporate fraud. Corporate fraud includes activities such as falsification of financial information, insider trading and other schemes that were designed to conceal corporate fraud activities and prevent them from being discovered by other governing bodies, like the Securities and Exchange Commission (SEC). Money Laundering: Money laundering occurs when an individual or company conceals or disguises their profits from criminal activities to make them look like they came from a legitimate source. Embezzlement: This crime occurs when a person takes personal property from someone who entrusted that property with them. Typically, embezzlement involves the misappropriation of funds and can happen in situations like when an employee finds a way to funnel company money into their personal bank account. Investment Fraud: Investment fraud typically involves low or no-risk investments, overly consistent and/or guaranteed returns and complex strategies. One of the most famous types of investment frauds is Ponzi schemes. These schemes usually rely on funds from new investors to pay the debts owed to old investors. Among other law enforcement agencies, the FBI is the main investigating body for white collar crimes. This means that you can face federal charges for white collar crimes, which almost always carry sentences that are more strict than state charges. If you are facing charges for any type of white collar crime, a skilled DuPage County white collar crime defense attorney can help. At the Davi Law Group, LLC, we will launch a full investigation into your case so we can provide you with the best defense possible. Call our office today at 630-580-6373 to schedule a free consultation. Prior to 1899, there was no such thing as a juvenile justice system. Illinois was the first state to create a separate court that was solely for juvenile offenders. The juvenile justice system was created with the idea that the majority of children’s behavior can be changed and modified so that they can become law-abiding citizens. Though the juvenile justice system does differ from the adult justice system, juveniles retain many of the same rights as their adult counterparts. Right to Remain Silent: Like adults, your child has the right to not self-incriminate him or herself. Your child is not required to answer any police questioning if you and/or your child’s lawyer are not present. Right to an Attorney: Also like adults, your child has the right to an attorney. If your family cannot afford an attorney, a public defender will be assigned to your child’s case. The public defender assigned to your child’s case will be versed in juvenile law and will have knowledge of how the juvenile justice system works. Right to Talk to a Parent or Guardian: Your child also has the right to talk to you and have you present during questioning. Before your child talks to police, police should be told by the child of the child’s wish to have a parent present, and police should be told by the child how to get a hold of you. Right to Know the Charges: Your child has the right to know with what they are being charged. Police must explain the charges to your child and what crime they believe your child has committed. Right to Be Notified: If your child has been arrested, you have the right to be informed as quickly as possible of your child’s arrest. Police are required to notify you as soon as your child is arrested or before your child is being questioned. Right to Know Why Your Child is In Police Custody: You have the right to know why your child has been arrested and where they are being held in police custody. Police must also tell you what specific charges are being held against your child. Right to Be With Your Child: As your child’s parent, you have the right to be with your child at all times during questioning. This allows you to ensure that your child’s rights are being protected and that you know what is going on with your child’s case. No parent wants to receive the call that their child has run into trouble with the law. 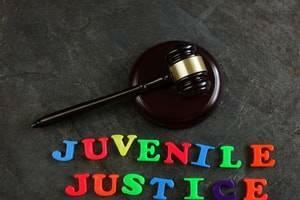 At the Davi Law Group, LLC, we understand that juvenile charges can be scary for both the child and the parents. Our skilled Wheaton, IL juvenile defense attorneys will make sure we do everything in our power to protect your child’s rights and innocence. If your child is facing criminal charges, call us today at 630-580-6373 to schedule a free consultation. With the rise of technology, almost everyone has a computer in their pocket these days -- their cell phones. While these handy devices can make life easier for us, they have also proven to make life more dangerous. In an effort to prevent drivers from using their electronic devices while driving, a new Illinois law that will take effect in July will increase the consequences that drivers will face when caught using an electronic device while driving. This new law will make a first-time offense of using an electronic device while driving a moving violation, rather than just a warning. Though various governments and state police officers across the nation have been cracking down on distracted driving, it still remains an issue. According to the National Highway Traffic Safety Administration (NHTSA), 3,450 people were killed as a result of distracted driving in 2016, and nearly 400,000 people were injured by distracted driving accidents in 2015. The handheld use of electronic devices has decreased, but the NHTSA states that using an electronic device in any way while driving increases your risk of crashing by 3.6 times. Though a first-time offense of driving while using an electronic device is now a moving violation, it can easily become a misdemeanor or felony if you cause someone else great bodily harm or death because of a crash. 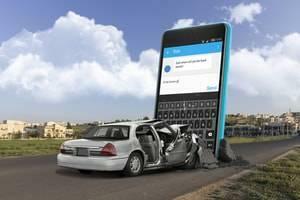 At the Davi Law Group, LLC, we understand the gravity of distracted driving violations. Our skilled Wheaton, IL traffic violations lawyers can help you form a solid defense against any traffic charges you may face. Call our office today at 630-580-6373 to schedule a free consultation.